LEGAZPI CITY (JaN 22) - Alert Level 4 (hazardous eruption imminent) of Mayon Volcano is now raised by the Philippine Institute of Volcanology and Seismology (PHIVOLCS) from Alert Level 3 (increased tendency to hazardous eruption) after exhibiting increased unrest, lava fountaining and summit explosions. With this development, the Danger Zone is extended to 8 kilometers radius from the summit. Phivolcs strongly advised the public to be vigilant and desist from entering the designated danger zone. 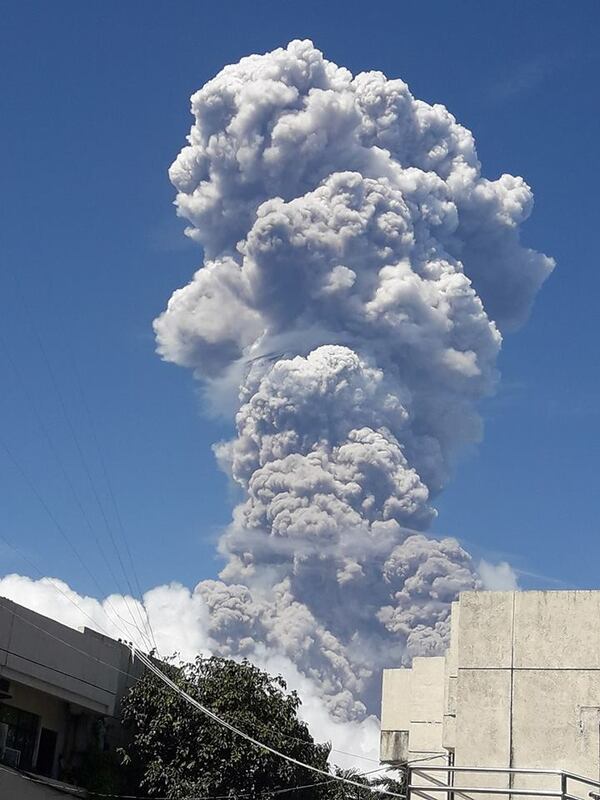 In a statement of Dr. Paul Alanis – Phivolcs Science Research Specialist said that Vulcanic Eruption occurred 12:30PM Monday, with ash plume reaching 3-5 kilometers high and were drifted southwest and ashfall was experienced in barangays of Guinobatan,Ligao Oas, and Polangui. Reports disclosed that areas between Ligao and Guinobatan experienced zero-visibility status.